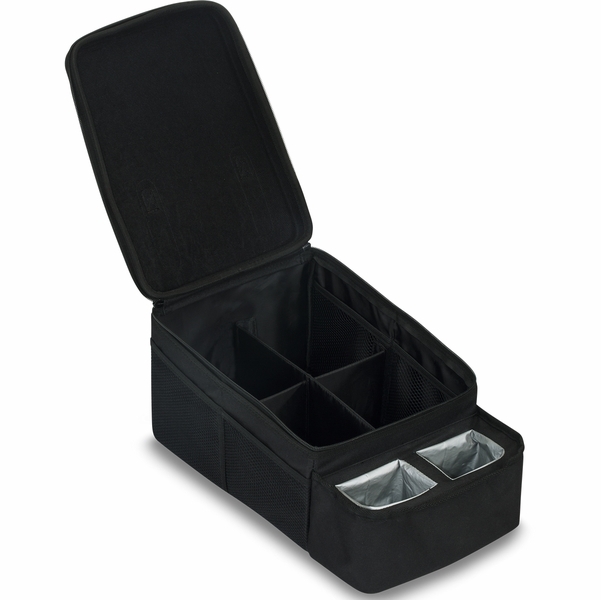 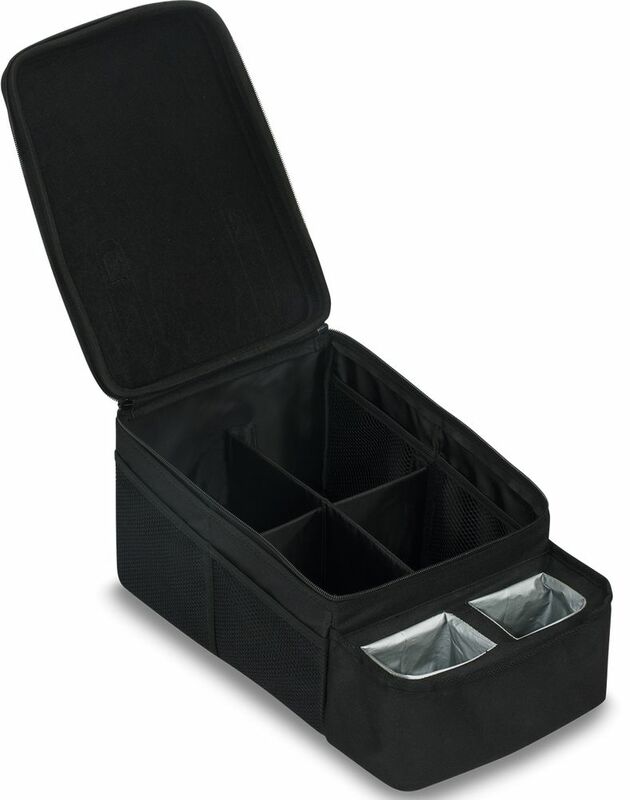 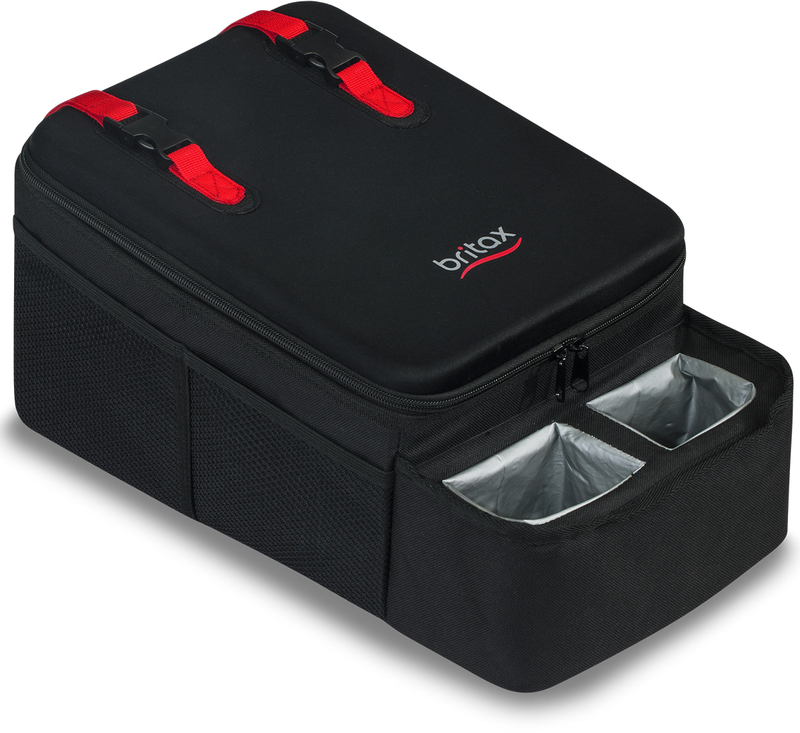 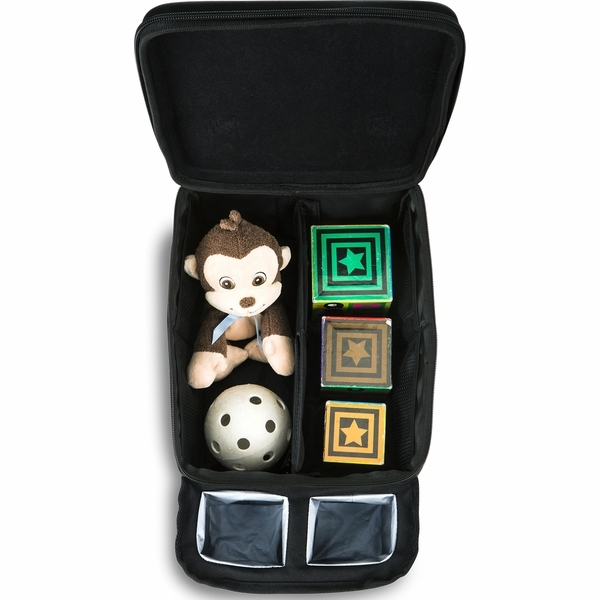 The Car Seat Caddy keeps drinks, snacks and other gear organized while you’re on a trip or running everyday errands with your little one. 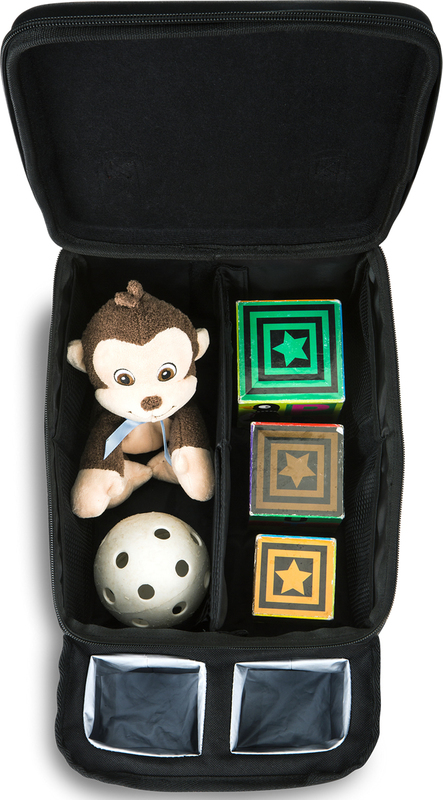 With two waterproof, insulated cup holders, a large center storage area and eight mesh pockets, there’s enough room for all your child’s favorite games and toys. 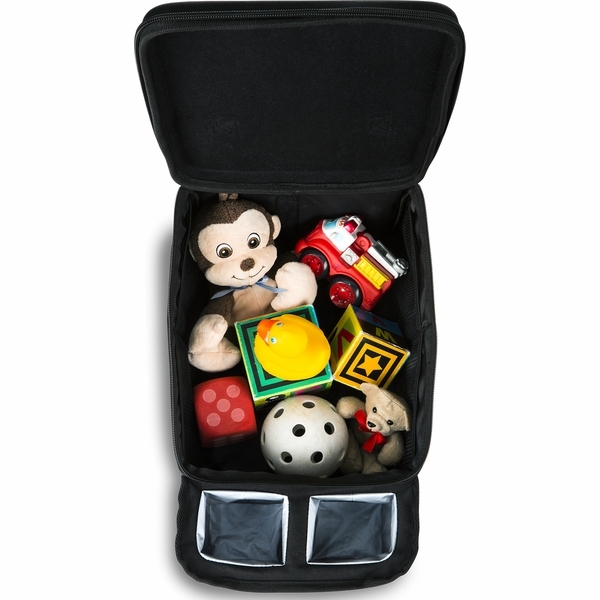 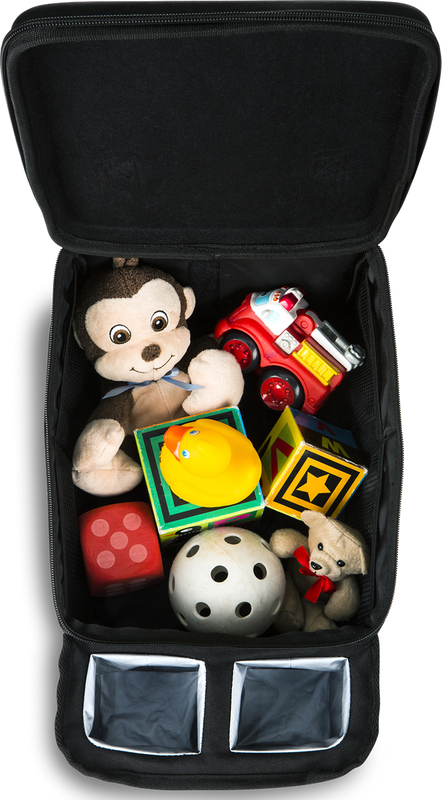 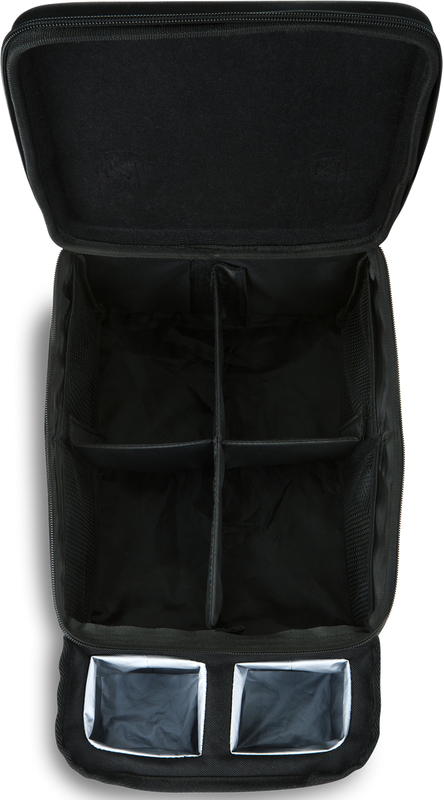 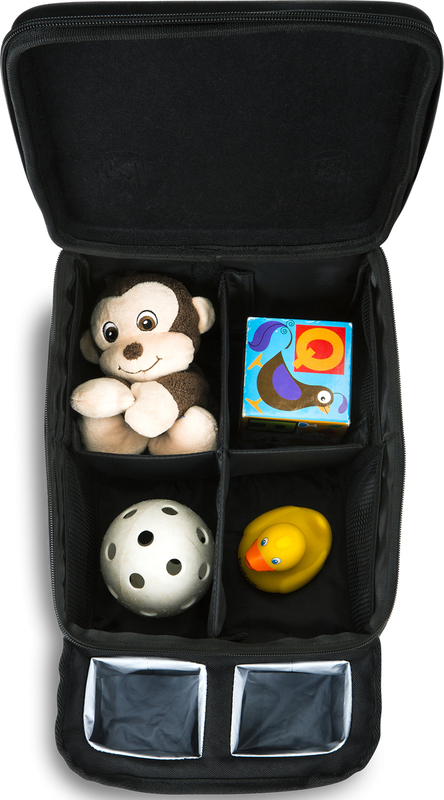 The hard top can be zipped closed to keep your child’s belongings in place and secure while on the go. 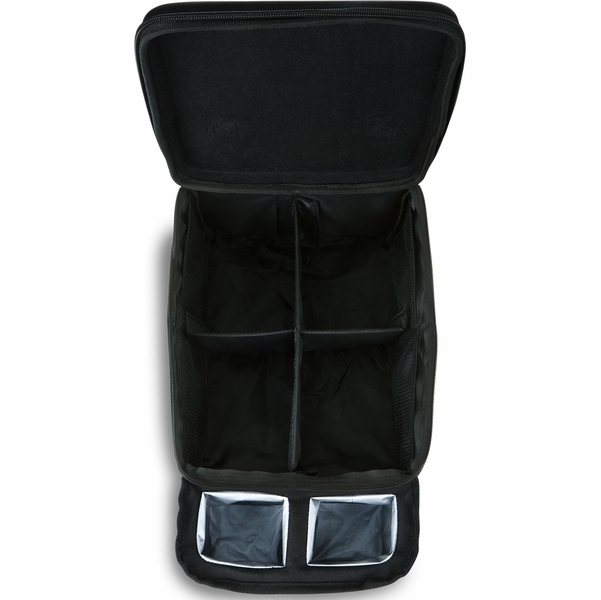 Approved for use with Britax seats.